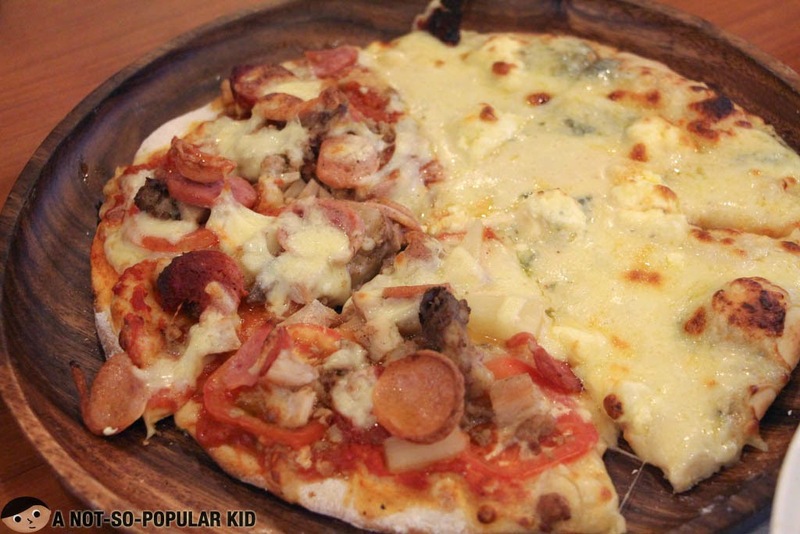 For a person who loves pizza and pasta, any places that serve these two become interesting enough to be visited. Now, what more if the name of the place has "Pizza" with it? Ah, it becomes more and more interesting! Friends, let me share to you what I'm specifically talking about through this blog post! 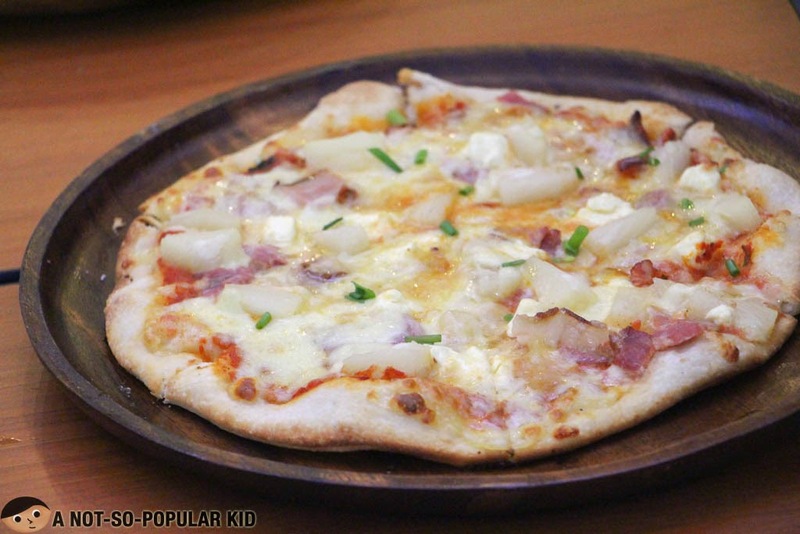 It's nothing but this restaurant in Il Terrazzo of Tomas Morato called "Mad for Pizza". Although it can be presumed that Mad for Pizza offers pizza (well, duh, thanks Captain Obvious), it is more than what you have in mind. 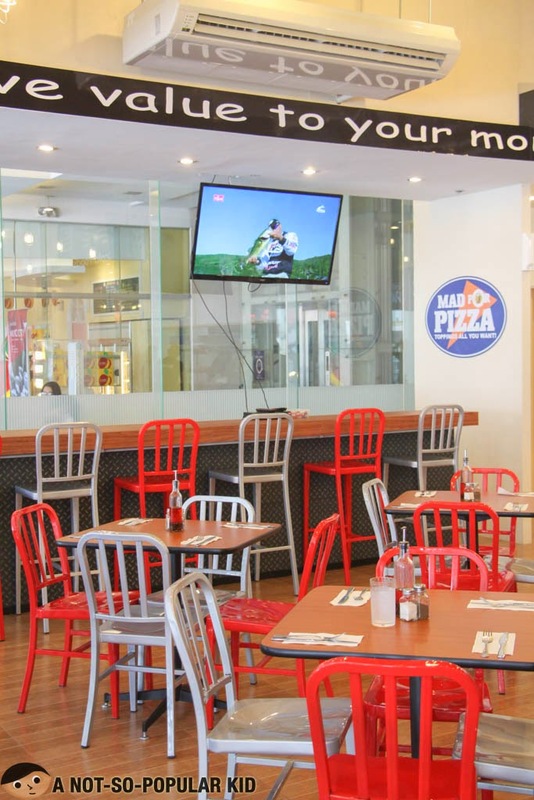 Yes, the restaurant offers "Toppings all You Want" pizza at only P280, but unlike other places known for something similar, this place also serves other dishes particularly of American and Mexican cuisines. The interior has a mix of vibrant red and gray that produces a nostalgic feeling of the diners we see in old movies or comics (i.e. Archie). Although the chairs are innately not comfy, the place and the positiveness of the ambiance compensate well for it. We'll get to the pizza later, but for now let's talk about the appetizers there! 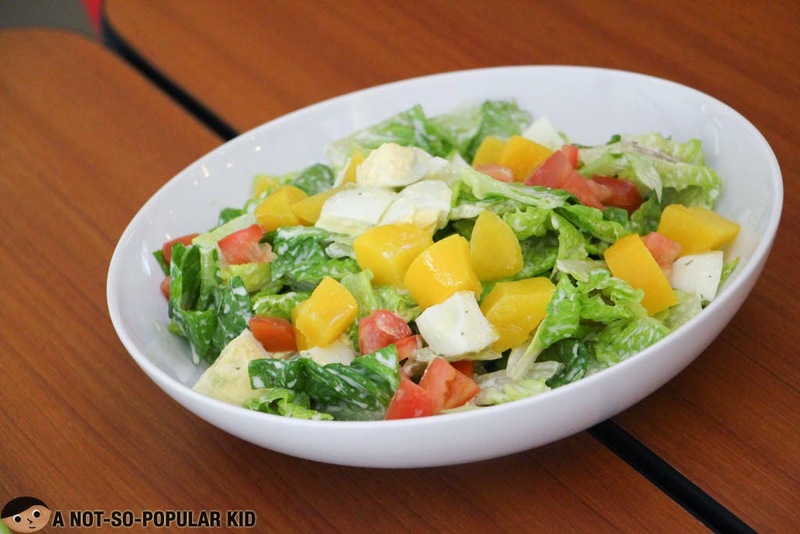 This House Salad was highly refreshing with the lightly sweet ranch-like dressing, highlighted by the taste of boiled eggs, peaches and tomatoes. 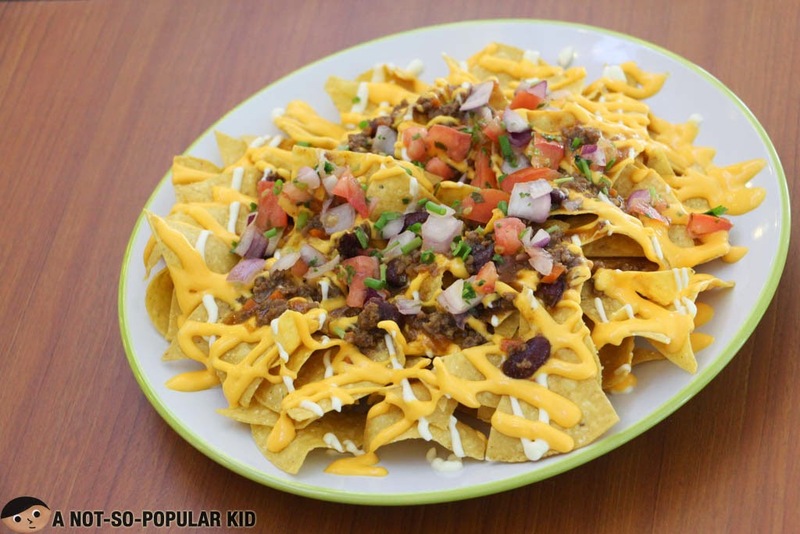 Don't like Nachos? Well, choose the fries instead! 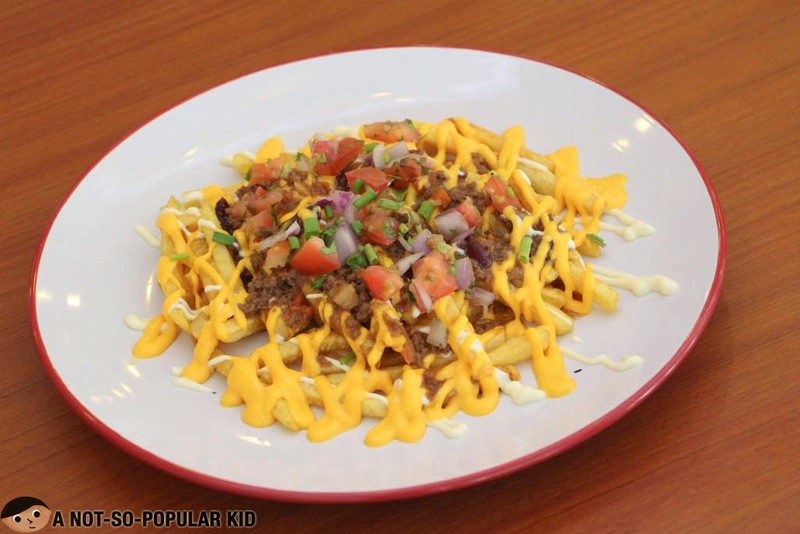 Both the ﻿nachos and fries were almost alike with their potent bean accent with the cheesy and crispy base of either nachos or fries. 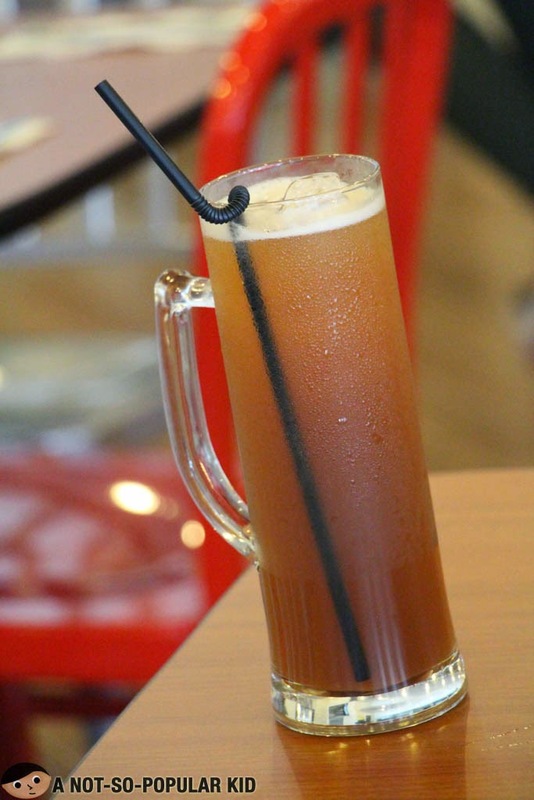 Hmmm, there are two iced teas to choose from, and it's fairly easy to choose which is good for you. 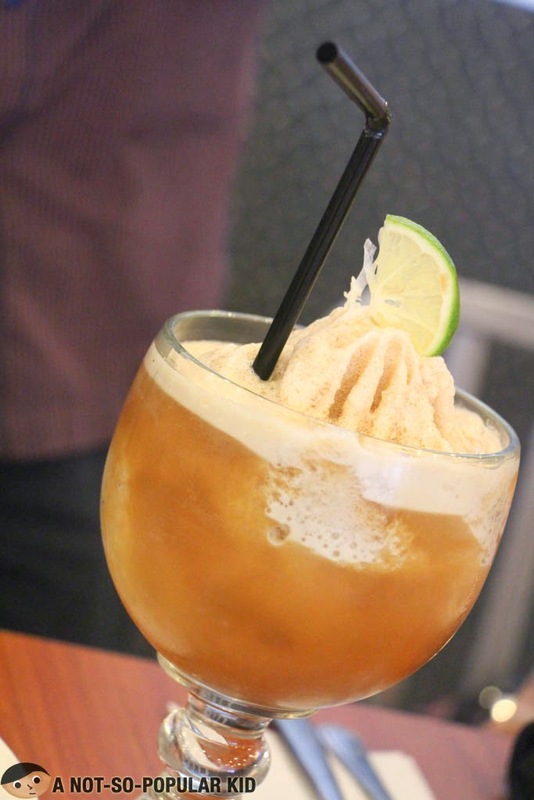 If you want an intense sugar rush, go for the bottomless, but in case you want to try something different and really refreshing, go for the Frozen Iced Tea. The main difference between the two is that the latter is blended with crushed ice making it really relaxing and refreshing to take a sip. Most of the bloggers agreed that this is a Work-In-Progress, and the owner confirmed it as well. 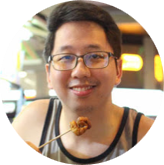 He is still trying to tweak it to cater to the taste buds of Filipino foodies. I wasn't able to personally take a sip of this drink, but I heard it was excessively sweet. 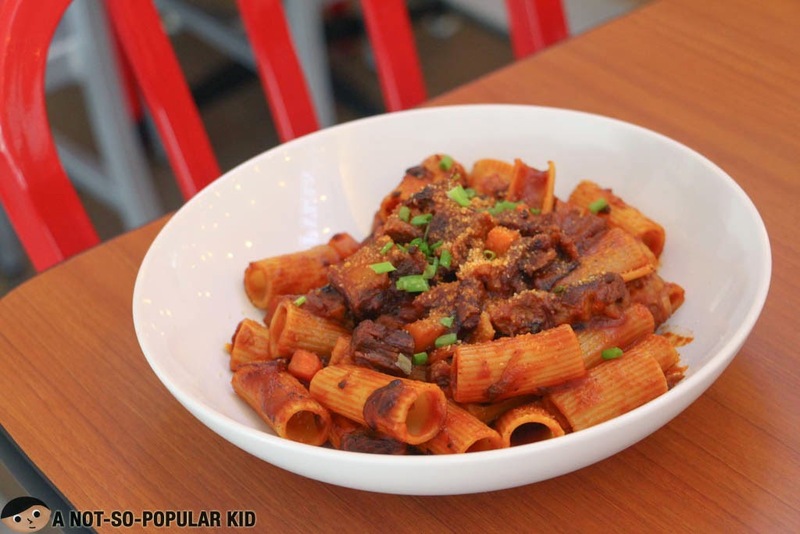 This Beef Stew Pasta was an interesting dish for me because of the vibrant color. However, I had something in mind as to the taste, and when I had a spoonful, I was surprised. I won't say that I didn't like it, but I'll tell you that it was something peculiarly new to me. Yes, the pasta elements were there, but the surprising part was the inclusion of beef stew that eventually altered the taste. The resulting flavor was a strong herby meaty taste. 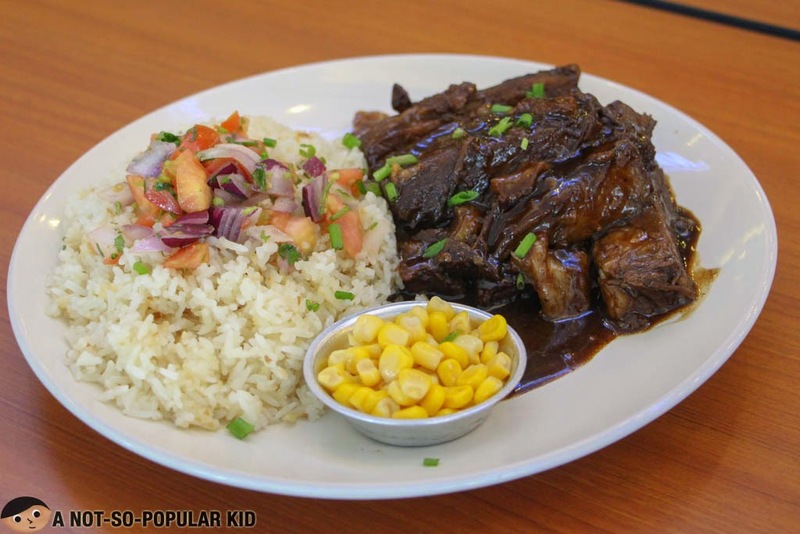 This special Beef belly dish had a noticeable Mexican spice (resembling a bean taste) mixed with the traditional Filipino adobo sauce. Personally, my taste buds are not well-acquainted with this type of herb, and this led to the undermining of my satisfaction from the dish. Don't get me wrong guys, it wasn't bad at all. I just don't prefer dishes with this type of herb and/or taste. 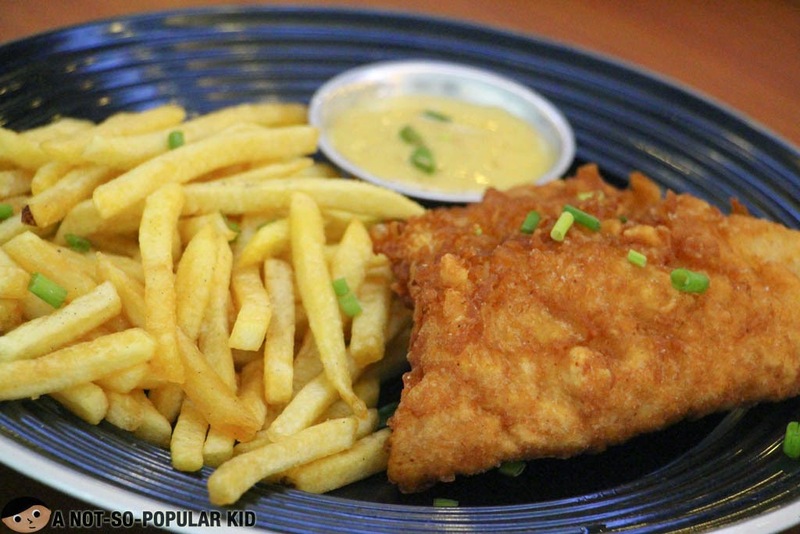 The fish had a thick but crispy batter, and the sauce that came with it was sweet and lemony! The resulting blend was really great, but I would appreciate it even better if there would be more sauce served to go with that huge serving of fish (which is really good, by the way)! The Pork Spare Ribs had a sharp potent herb taste similar to the beef with a striking (but not prolonged) chili sensation matched with sweetness. It may not be suitable for those who dislike strong herb taste. However, if that is not an issue for you. You will surely love it! 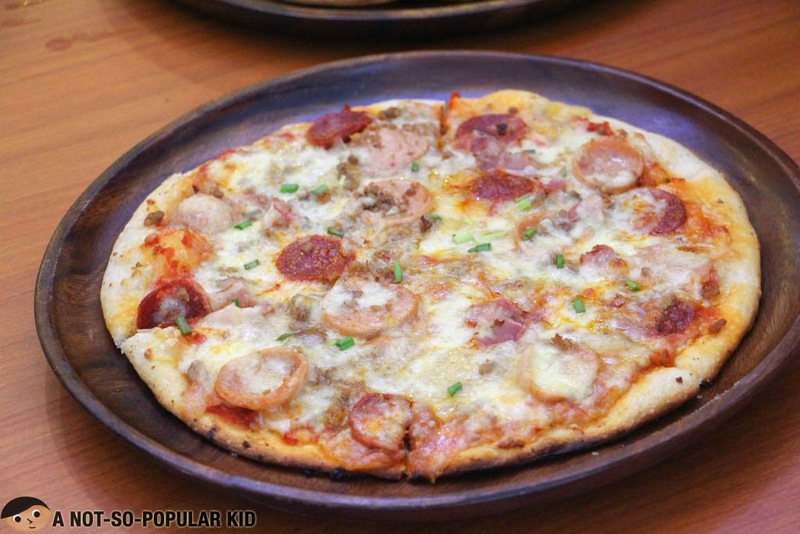 The Pizzas here in Mad for Pizza are really good because of less greasiness and the usage of fresh ingredients! 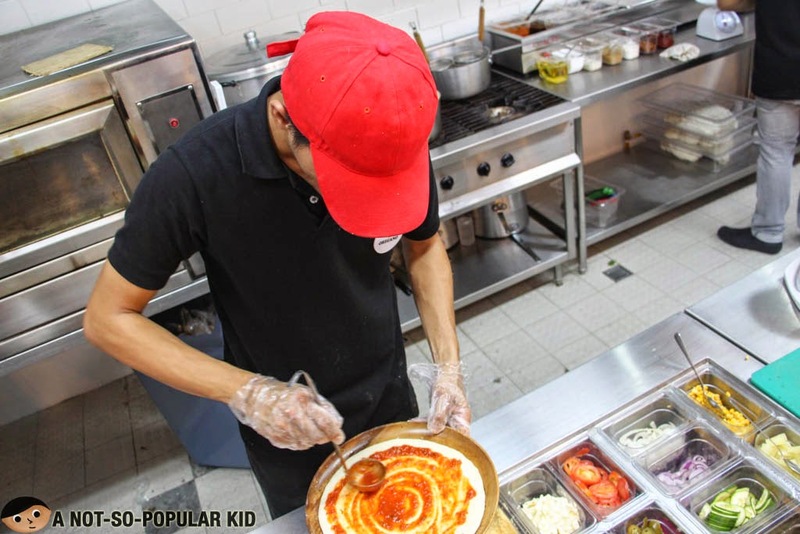 Mad for Pizza - customizable pizzas with unlimited toppings! 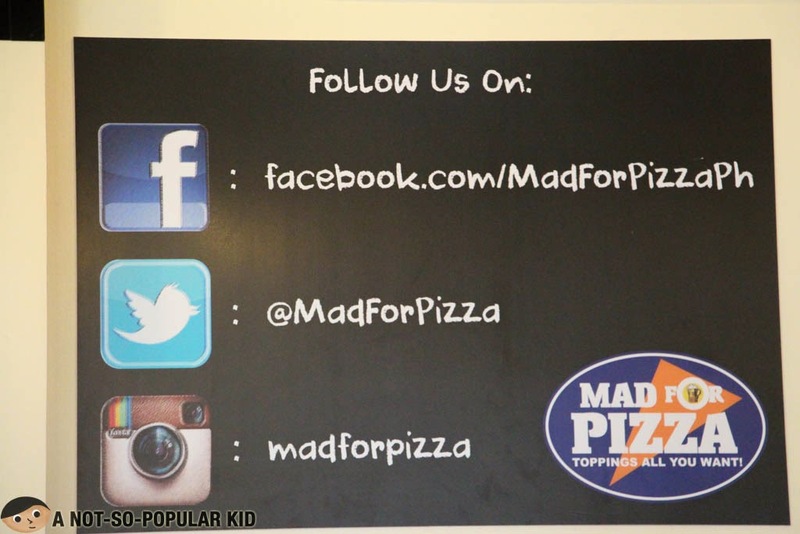 There are three Ready to Order pizzas here in Mad for Pizza, just in case you are lazy enough not to make your own. This Anya's Creation was totally fantastic with the outpouring of its white garlic shrimp flavors. Yeah, it was simple, but I managed to enjoy it well. The Justin's Favorite is good for those who are really into meat! The taste of this pizza was just balanced which means each ingredient harmonizes with the rest. However, I suggest that you go for the customizable pizza and ask for an all meat. It was way way fantastic! Interesting and refreshing Andross's Choice! This Andross's Choice was really interesting because of a subtle herb taste that was suspiciously good. Plus, the feta together with the pineapple produced a salty-sweet combination that I found really exciting! Again, I urge you to grab the opportunity to customize your own pizza. 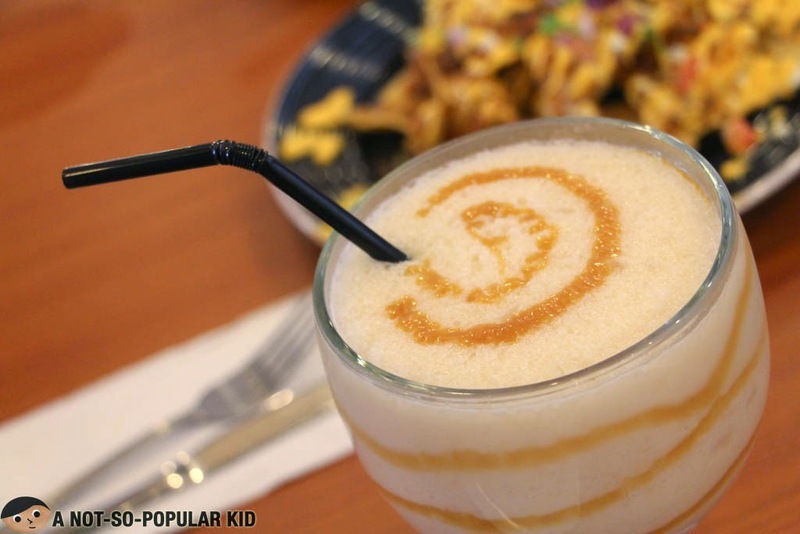 With only P30 to add, you can get a whole lot more of goodness! The All-Cheese had 9 cheeses on it, namely Mozzarella, Parmesan, romano, Asiago, Cream, Cheddar, Blue, Feta and Provolone! This is why it was really a smashing hit for me! I recommend that you give this one a try! You will surely love it - promise (unless you are not a cheese lover). The All-Meat had the following: Meatball Crumble, Italian Sausage, Grilled Chicken, Pepperoni, steak Slices, Pharma Ham, Ham and Bacon! 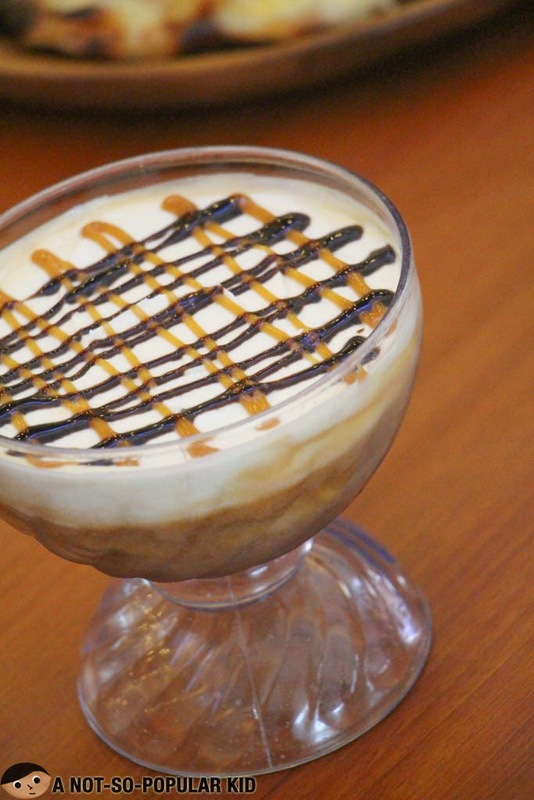 This one is a definite Hunger-Buster! Hence, if you want to forget about dieting and all those stuff, go for this one! I wasn't able to taste this one on its chilled state, so I can't provide you with an "accurate" opinion on this one. Same goes for this one; however, I was able to sense some good blend of tangy and sweet flavors! Alright, these were all the dishes and food served to us. 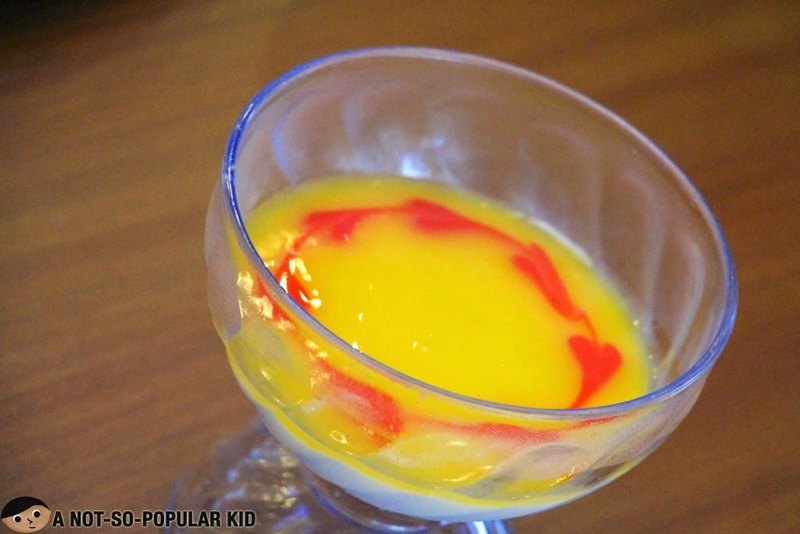 Since I am about to wrap this blog post up, do check this one out first to learn more about this restaurant. 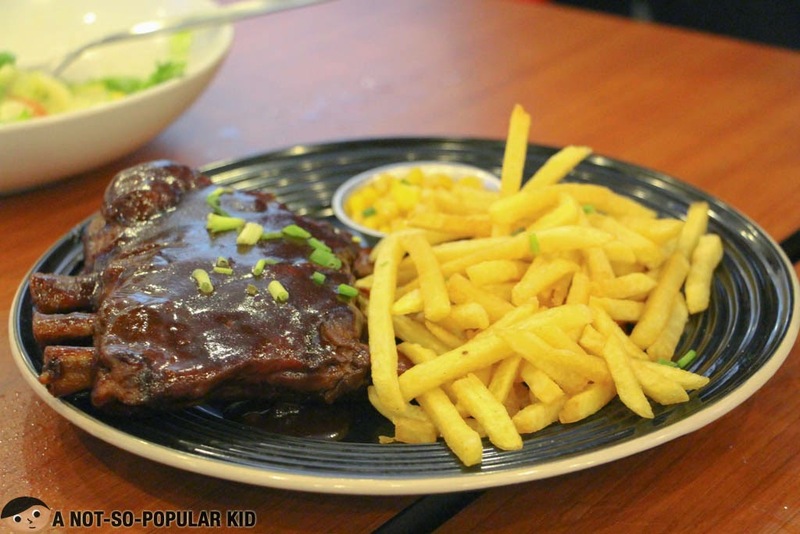 Share what you think by rating this restaurant using the Star Rating below! 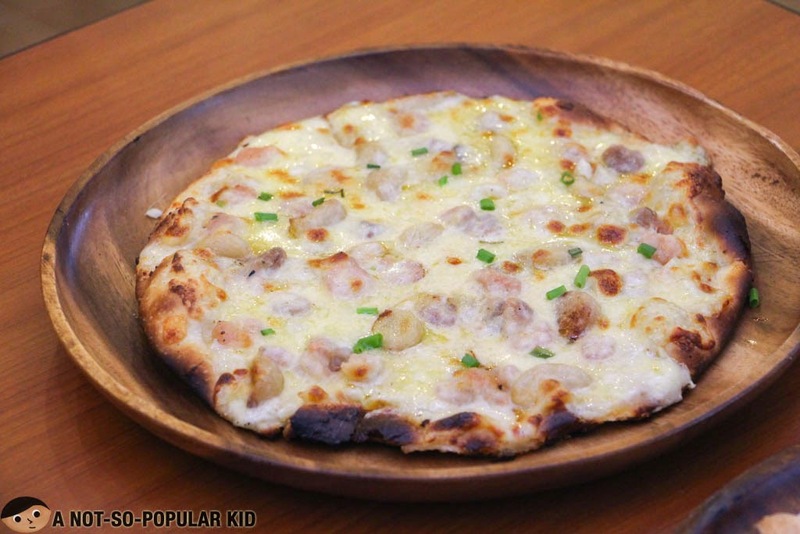 Budget needed: at least P350 per person for a pizza and a cold drink! 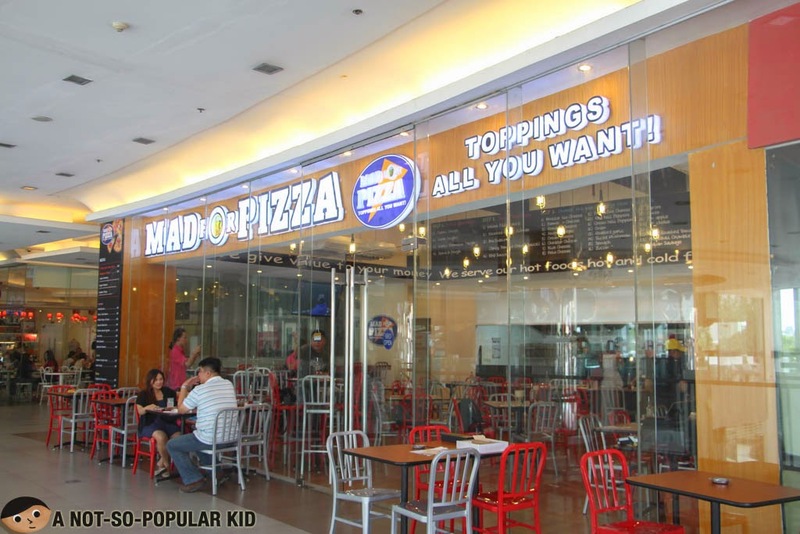 I have to admit it to you guys, I really enjoyed the pizzas of Mad for Pizza. However, my palate does not jive well with the other dishes, except for the Salad! If you have a huge appetite for Mexican herbs and spices, I bet you will definitely love their dishes here! Hence, with an objective assessment, I believe this makes a fantastic place to visit with the affordable yet amazing dishes! Footnote: The owner let all the invited bloggers taste the dishes free of charge. This might have some influences with how I perceived the food, but I promise you it would have been unintentional. 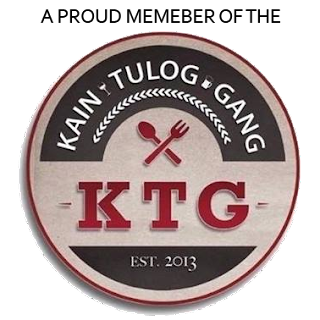 Location: 2/F Il Terrazzo Building, 305 Tomas Morato Ave. corner Scout Madriñan St. Quezon City, 1104. Oo nga eh! Try the pizzas, I really love the wide selection of toppings! Yup! When we speak of convenience, I choose Project Pie (since it's nearer). When we speak of flexibility in terms of toppings, I choose Mad for Pizza. Overall, I prefer Project Pie with Mad for Pizza almost catching up. Project Pie wins for me because of the tastiness and crunchiness of the crust, but both are great!